Memorial weekend is always the for sure kick off that summer vacation is here. The kiddos only have 4 days left of school. Can we say that excitement is running wild around here with them. Living in Wisconsin we don't have the typical beaches as our beloved coastal friends have but, we sure have plentiful amounts of beautiful lakes. We also spend many days at our community pool. Even with tad older kids I'm always finding myself lugging around a ton of things for when we do visit the pool and lakes. 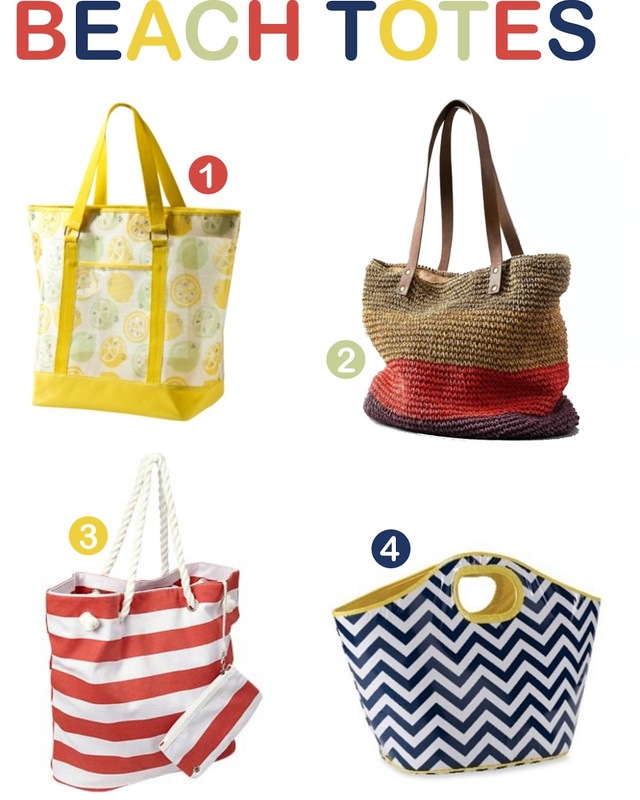 There are may affordable beach totes all over the place. Practical and adorable! I hope you all have a safe and enjoyable Memorial weekend!